We’re off the deep end. It’s official: awards season is here whether we’re ready or not. But thanks to the Golden Globe nominations announced Thursday morning, there’ plenty to be excited for. 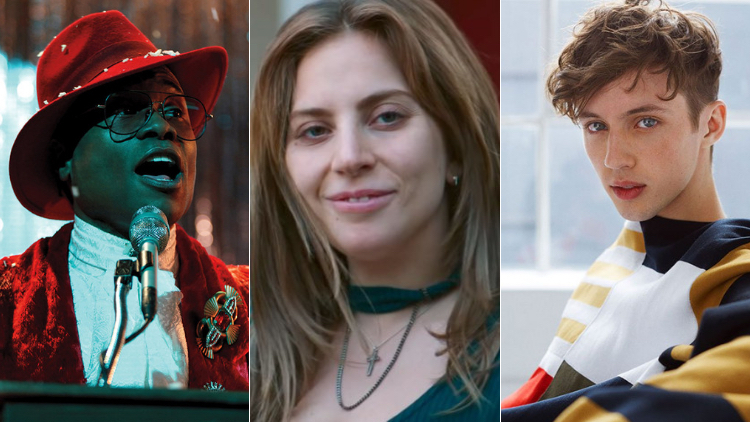 The Hollywood Foreign Press Association, who votes on the awards, recognized the likes of Out 100 honoree Billy Porter and FX’s Pose as well as our fave Lady Gaga for her turn in A Star is Born. Check out our list of some of the folks we’re rooting for when the show comes around January 6. Award shows rarely recognize the small — but beloved — projects few have heard of. But the brilliance of Pose, created by Steven Canals and featuring a writing staff of Janet Mock and Our Lady J, could not be denied. This nomination is proof that our stories, in all their black and brown and queer and trans glory, are valuable and audiences worldwide will partake. The Glee alumnus has officially shed his high school teeny bopper persona and is now a bonafide actor. As Andrew Cunanan, the killer of Italian fashion designer Gianni Versace in Ryan Murphy’s The Assassination of Gianni Versace, he delivered a stunning performance some weren’t sure he could pull off. He won the Emmy for this same award earlier this year. King pulls double duty as two-time nominee: the grieving mother of a black teen killed in a hit and run accident by a white police officer in Netflix’s now-cancelled Seven Seconds and as the matriarch in Barry Jenkins’ adaptation of queer icon James Baldwin’s If Beale Street Could Talk. She’s been in this Hollywood game for sometime and, now, the industry is finally taking notice. She also won an Emmy award for her Seven Seconds role earlier this year. In addition to acting in the conversion therapy drama Boy Erased, the singer wrote and performed “Revelation” for the picture’s soundtrack. He’s going up against Lady Gaga’s “Shallow” from A Star is Born but we stan an underdog. This is the first English-language adaptation of James Baldwin. The film follows the beautiful love story between Tish and Fonny as she carries their first child and he sits in jail wrongfully accused of a crime. Director Barry Jenkins, who also co-wrote and directed the Oscar-winning Moonlight, is also nominated for penning the Beale Street script. Starring Olivia Colman, Rachel Weisz, and Emma Stone, The Favourite is about a love triangle between a frail queen, her close friend and a new servant in early 18th century England. In addition to the film nabbing two noms, each of the leading ladies were nominated, Colman for lead actress and Weisz and Stone for supporting. The Golden Globe winner for her turn in Grey’s Anatomy is back with a vengeance in her Killing Eve role as a security operative hunting for an assassin. She made history earlier this year as the first actress of Asian descent to be nominated for the leading actress Emmy for the same role. Oh is also hosting the Golden Globes ceremony with Andy Samberg. In her first major film role, Mother Monster stripped away the pop diva persona to deliver a heart-wrenching performance as a young singer who finds fame and love when a major musician (Bradley Cooper) discovers her talent. We’re screaming “live, werk, pose!” to this living icon who deserves all of the trophies as Pray Tell in Pose. His performance as the father and chief commentator of the ball scene — and a stirring rendition of Donny Hathaway's "For All We Know" —is some of the best acting this side of heaven. Hands down!